Tuesdays and Thursdays 6 - 7:30 p.m.
You can't buy proficiency in the martial arts. It can only be earned through an investment of time and effort. Martial arts develop life skills: self-control, self-discipline, focus, patience and the commitment to reach goals. These are the foundation on which self-respect, achievement and character can be built. What we offer are skills that can be carried into a career and life in general. This includes the fact that martial arts also are a recommended methodology for developing non-drug coping skills for ADD/ADHD. On the physical front, whether you enroll in the martial art program or self-defense, our goal is to teach you how to protect yourself. An attacker doesn't care what color belt you wear in the dojo. Our standard of achievement is in the application. We train our students so a 90-pound girl can not only defend herself against a 270-pound man, but body slam him to the ground. And that was when she was a green belt. Although based on "classical" karate, Dango Jiro is unlike any other martial art currently available in Castle Rock. It's physical components are a combination of Funakoshi Shotokan Karate, Korean Tae Kwon Do, Five Family Kung Fu, Brazilian Capoeria, Wing Chun, Boxing, Indonesian Pentjak Silat & Kuntao and the Filipino Martial Arts, it is however, much more. Also taught by MacYoung, this class is "graduate school" for the martial arts. It assumes you have already achieved rank in another system. 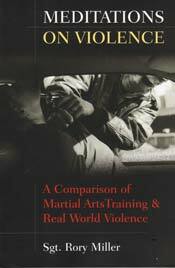 This course is not designed to give you another martial art system, but to critically analyze the body mechanics, nature of movement and application of what you already know. If you're an experienced martial artist, we'll make you better. In this process, you will discover different applications and the errors that may have crept into your art, as well as gain deeper understanding of what does work in your system. This is a belt-less program is designed to reignite the excitement and joy you first discovered when learning the martial arts. If you have reached a plateau in your training, this program will help you break free. Adults only. Beginners also are welcome. Yes we offer training to law enforcement and military personnel about to deploy overseas. Castle Rock is north of the Springs and over Monument Hill. As we said, we are not a commercial martial arts school. We're close to what is known as "garage training" -- but in the rec center. To non-martial artists, that term doesn't mean much. But for people who have grown weary of the politics, greed and game playing of franchised, strip mall schools, we offer a place to learn and work out. These are no -contract programs. Sign-ups are on a month to month basis. Missing a month is no problem. If you get busy, we'll see you when you get back. We do not attempt to ape other cultures or present ourselves as instructors of ancient warrior traditions from exotic and distant lands. We do, however, demand courtesy, respect and self-control among students. We don't insist on being called "master," we do insist children use "Sir/Ma'm" or Sifu/Sabumnim (teacher in Chinese and Korean). These are the only titles we will accept. As an adult, call us by our names. We do not teach students to fight. Although we teach self-defense, our program is oriented on getting away. We teach students not to run from danger, but to run toward safety. (Coming from the north, take Exit 183 on I-25, Founders/Park Meadows Parkway, turn left (east) proceed over highway, the second light is Front Street, turn right (south), proceed approximately 1 mile (past Wal-M art, but before Douglas County High School) to Scott Street. Scott is a T intersection identified by a Woodlands wall/landscaping. Turn left (east) to bend in road. The rec center is to your right).